New Delhi (Sputnik): Fugitive Indian jeweller and bank defaulter Nirav Modi was arrested in London today at the Holborn Metro station. The further hearing for extradition procedure was fixed for 25 March. Nirav Modi and his close associate, Mehul Choksi, are the prime suspects in the bank scam involving fake guarantees in the name of the state-run Punjab National Bank in India. The fraud case, which is estimated at around Rs. 13,000-crore ($18.5 Billion), involved secure loans overseas and when the matter came to light, both Modi and Choksi left India in January last year. The fleeing of both celebrity suspects preluded the Central Investigation Agency (CBI) starting to investigate the PNB scam. Earlier this month, Nirav Modi was in the news globally, when he was seen walking in London by a reporter of British newspaper The Telegraph. In the two-minute clip shared by the newspaper, Modi declines to reply anything to the reporter other than "no comments". On Monday, a court in the UK issued an arrest warrant against the Indian billionaire. 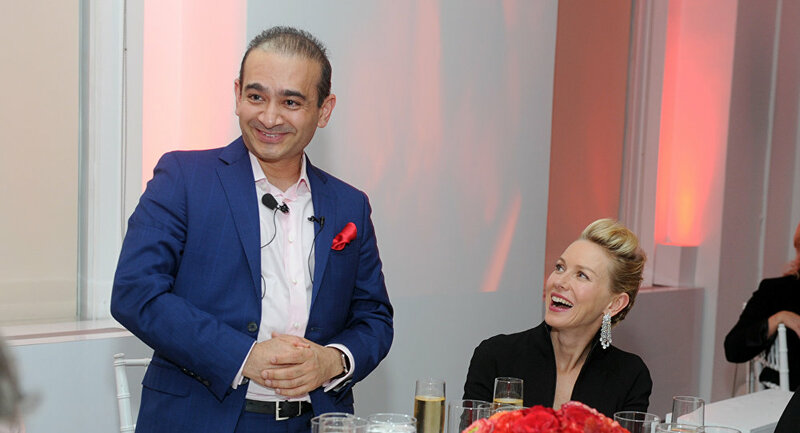 The court was acting on a request by the Enforcement Directorate (ED) of India, which has asked for the extradition of Nirav Modi. Meanwhile, Indian media reports suggest that the Enforcement Directorate has also got permission for the appropriate authorities to auction the paintings and cars of Nirav Modi's family.